How much is your wellness worth? Your personal well-being is not a pipe dream... it is feasible and more achievable than you think! Do you want to feel healthier? To feel better about your body and yourself? To live a fuller and more active life? 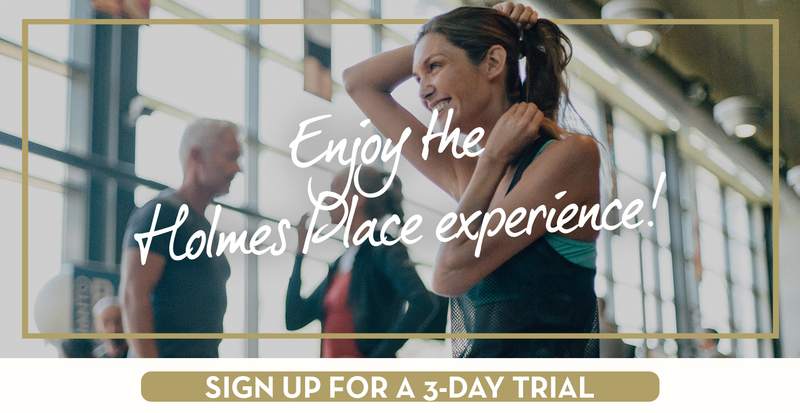 At Holmes Place, our mission is to offer you the motivation and the environment to discover your best self, to escape your routine and to renew your everyday life. • The finest facilities and a wide range of options to start your wellness journey and achieve your wellbeing. • Experienced and qualified Trainers who will assess your own personal goals and needs to provide you with proper guidance and continuous monitoring. • A One-stop shop with a comprehensive range of services: Fitness, Nutrition Spa & Beauty, Holmes Place Café (healthy drinks & snacks), In-Club Shops & Sport Accessories, under one roof, because your personal time is , precious and we want you to make the most of it! • A very friendly environment that gives you the opportunity to become a member of a big group with common interests, offering you opportunities to have fun all the time! • A wide range of big and smaller scale sport and “live well” events every month, that will offer you new experiences and unforgettable memories! • Outdoor training (running, cycling, swimming, hiking, SUP) with experienced Coaches that will fill you with energy! TRY OUR FITNESS & WELLNESS SERVICES! Would you like to meet us in person and try our services? If so, we are expecting you for a first trial workout at the Holmes Place Club of your choice! Join us to start your wellness journey! Posted in Wellness and tagged wellness, membership, Holmes Place.